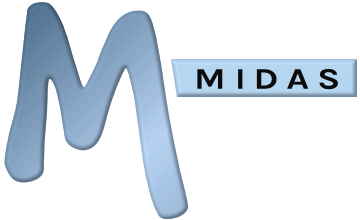 MIDAS has a clever "responsive design", which means that it automatically adapts and adjusts for display on a wide range of devices and screen sizes/orientations, be it desktops, laptops, tablets, or mobile devices. For example, here are some screenshots of MIDAS running in a desktop browser, on an iPad, and on an iPhone. Because of this "responsive design", and in order to make MIDAS as accessible and as easy to use as possible, there's no additional "app" that needs to be downloaded and installed on every user's device before they can start using your organization's MIDAS system - all they need is a modern web browser on their device (which will most likely be installed by default), and they'll be able to instantly access and use MIDAS anywhere with a wifi/data internet connection! What's more, users can add a shortcut to their Android or iOS device's home screens for even faster access to your organization's MIDAS booking system.